Have you heard the one about the guy who bought a hoodie for his girlfriend for Christmas? No, this is not the beginning of a bad joke. Promise! It’s actually a marketing lesson you don’t want to miss if you’re interested in establishing better relationships with your customers, aka relationship marketing. If he had simply received a refund or even a note that said sorry our product didn’t work for you, how disingenuous would that have sounded under the circumstances? That extra level of empathy and awareness that MooseJaw exhibited is the perfect example of relationship marketing at its finest. In relationship marketing, the goal is not to land a transaction; the goal is to foster customer loyalty and long-term engagement. And this, in turn, helps companies develop strong, emotional connections to their brands that drive word-of-mouth promotions and lead generation. It's a strategy that is here to stay and is expected to continue to grow according to Entrepreneur magazine. "Relationship marketing is a type of marketing that focuses on cultivating deeper, more meaningful relationships with customers to ensure long-term satisfaction and brand loyalty. 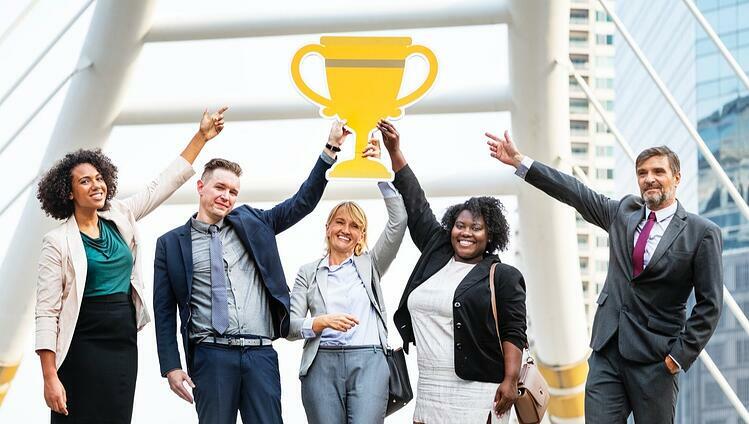 Relationship marketing is not focused on short-term wins or sales transactions -- rather, it is focused on delighting an audience and your customers for the long-haul." All right, now that we have a great understanding of what relationship marketing is, let's address a question that might have popped into your head by now. Didn’t companies always practice relationship marketing? After all, it isn’t a new concept. But think of this from an inbound marketing perspective, which says you want to actively pull in your community and engage in a dialogue, not passively wait for them to engage. So you generate a lot of web traffic with your presence on social media, write brilliant blogs and create high-quality content offers. What’s next? It’s establishing rapport you have with your targets via all of these efforts-- social media, web content and email campaigns, newsletters, etc. That’s what relationship marketing is all about. An estimated two billion consumers worldwide currently own smartphones. 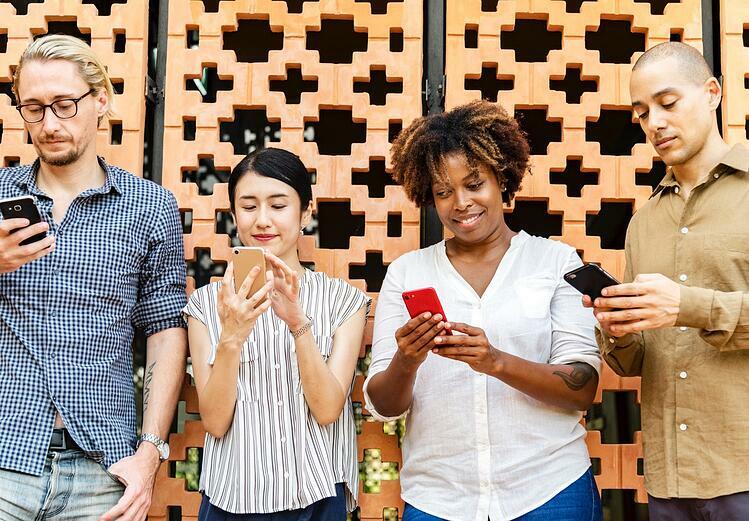 Through mobile technology and applications, you can build stronger loyalty programs and foster long-term engagement based on an emotional customer connection, not just connection related to a product. Sephora’s Beauty Insider loyalty group is a good example of tracking the shopping habits of the cosmetic company’s most dedicated customers. They use that data to recommend “handpicked” products to the buyer, send free birthday gifts and offer free beauty classes (in participating stores). A great example of personalization, which we'll discuss in more detail below. In addition, you have more data than ever before to fuel that outreach and that is what is going to help you make the switch from mass-targeted content and interruptive marketing to solid relationships built on trust. The ultimate goal of relationship marketing. When it comes to data, using CRM (Customer Relationship Management) tools is a great way to monitor your customer’s online activity. That way, you can deliver dynamic web pages that cater to their preferences and put together personal recommendations. The derived data will even ensure they don’t have to view content twice. And let's be honest, we all know how awesome that is from a customer experience perspective. Let consumers know you’re listening. By responding to their comments on your Facebook post, you’ve opened a two-way conversation and the personal connection every customer wants. It’s important to keep all of your profiles on social media networks up-to-date so that you can engage with all of your audiences. When you haven't posted in a while, some users may think your brand is no longer active on that channel and will not engage. Integrate the customer feedback you receive as much as possible in order to improve your products and services. For instance, Starbucks, a pioneer in relationship marketing, changes up their seasonal drinks and treats based on customer recommendations. So, even if you're not in the coffee retailer business, make sure to listen to your customers' requests and incorporate them when possible. After all, who knows what your customers want better than them? Follow up fast. After the initial purchase, send your customer an email asking him or her how they liked the product or service. You can also give them a personalized list of recommended goods that will enhance what was already purchased. It's an added value of service they will definitely appreciate. The key here is "personalized". Avoid sending information that does not provide value. Otherwise, this can quickly do the opposite of what you're trying to accomplish. As an example, let's say you are the customer who just purchased a pair of women's jeans from an online retailer. Wouldn't it seem odd if you received an email afterwards that included suggestions for men's workout shirts? That definitely would not provide value to you, and might actually make you feel like the company doesn't know who you are even though you just made a purchase. As the brand, avoid that at all costs. Conduct regular polls and surveys of your customer database. And give them incentive to do so. Hilton Hotels, for example, offers points to their loyalty program members for sharing their opinions about their recent stay in a brief survey. Accrued points can end up being used for a free night stay at one of their Hilton properties. If you conduct a survey like Hilton Hotels and receive negative feedback about a particular issue, make it right for them in a personal way. Get creative. Organize customer appreciation events. Once a buyer becomes a customer, you should invest the effort in connecting them with other like-minded customers. Host an event and provide food and drink and entertainment and give them first crack at your new product. For example, Jimmy John’s sandwich chain recently held a day-long customer appreciation event offering $1 sandwiches. I'll take a Billy Club please! Establish referral marketing campaigns. By promoting and incentivizing referrals for your business, you extend your reach of relationship marketing. Essentially, you're growing your community through your existing customer base via word-of-mouth, which is a very powerful thing. A peer's recommendation is practically priceless. In fact, 82% of consumers want recommendations from people they know before making a purchasing decision. Conduct regular training sessions for all staff members on all aspects of proper customer relations. To have a strong relationship marketing strategy, it's important that it's adopted throughout your whole business. Make sure your whole team has a clear understanding of your vision and goals. That way, every customer experience is a great one that meets your high brand standards. 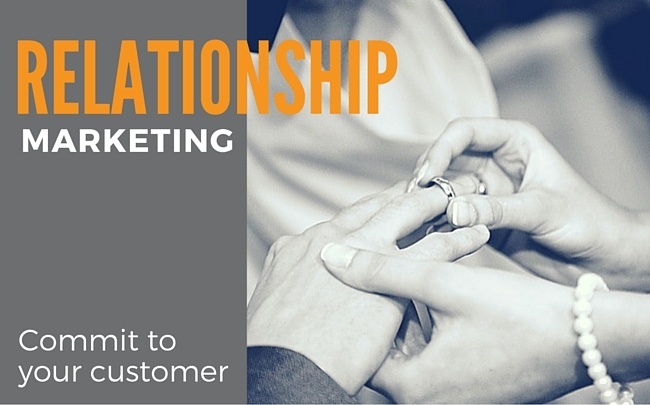 Relationship marketing lets your customers know that you do, in fact, care. Satisfied customers are more willing to shop again, as well as promote your business to others. That equals higher organic traffic, lead generation and sales. My bet is that the girlfriend-less guy mentioned above a) has become one of MooseJaw’s best customers b) drove jilted lovers everywhere to check out the company’s products and c) is probably being pursued by numerous women who like his story (and who will probably like Moosejaw too). That's relationship marketing at its best! Want more marketing tips to build your overall strategy and meet your goals? Request your free marketing audit below!